The tip of the intraaortic contrapulsation balloon projects into the aortic knob. The correct position of the tip is beyond the branching of the left subclavian artery. 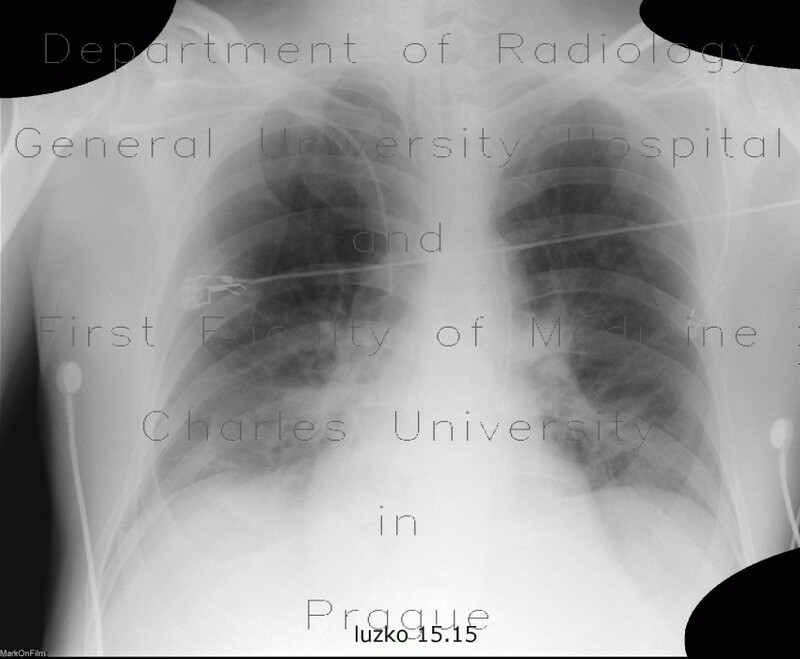 Note also an endotracheal cannula and central venous line.